Want to submit your book or novel to the best-suited literary agents and editors? Need to know how to send your short stories, poems, or essays to the right literary magazines and literary journals? Want to save yourself some time? If so, you’ve discovered one of the best services available to creative writers! Writer’s Relief is an author’s submission service (not a literary agency, publicity firm, book reviewer, etc.). We help creative writers get their work to the best-suited agents and editors in the most professional format possible. When you enroll in our services, you’re hiring a team of industry-specific personal assistants who have been in the business for a long time. We prepare your submissions and advise you on strategies that can increase your acceptance rate. We work with book manuscripts, short creative prose, and poetry. Want help finding the right agents and editors for your book, story, essay, poem, or other creative writing? 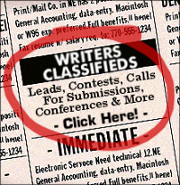 Want to know what agents and editors are looking for in creative writing submissions? Want to know how to submit your poems, essays, and short stories to literary magazines and literary journals? Want someone to assist with your creative writing submissions and advise you on strategies that work? Want more time to write without sacrificing the quality and efficiency of your creative writing submissions? Want to get more acceptances and creative writing publication credits? There’s lots of great information on these pages about who we are and what we do, but if you’d prefer to give us a call, we’re here to answer all your questions. Or you can send us an e-mail at info@wrelief.com. YES! I understand that all I have to do is enter my name and primary email address below and click "Send Now." I can unsubscribe from this confidential and unshared list at any time.